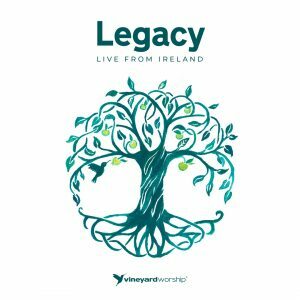 Vineyard Worship has released “Legacy- Live From Ireland” through Vineyard Worship UK & Ireland and all songs are now loaded into WorshipTeam.com “Legacy- Live From Ireland” is a live recording of some great new songs. Legacy – Live From Ireland is a powerful new live EP from Vineyard Worship UK & Ireland that was captured at the inaugural gathering of Irish Vineyard church leaders in Lisburn in October 2018. These songs were birthed in the local church, where worship leaders have immersed themselves in leading their communities into intimate worship. As these songs gathered pace, they resonated with the Vineyard around Ireland and now it’s time to share them with the wider church. Twenty-five years after the first Vineyard church was planted on the island, Legacy – Live From Ireland celebrates all that has gone before and births a new level of expectancy for all that God has in store next. 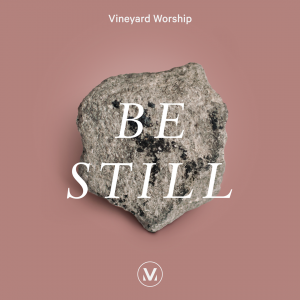 Sarah Elmer has released “Be Still” through Vineyard Worship and the song is now loaded into WorshipTeam.com “Be Still” is a recording of a great new song. The latest monthly single is “Be Still”, penned by Jason Phillips from Raleigh, NC, is a song of hope in the presence of God in the midst of trials. Birthed out of a season of suffering and tragic loss in Phillips’ church body, “Be Still” is an intimate cry of the broken-hearted, in the face of pain and loss, that we can be assured that God is with us. Recorded at Anchour Studio in Maine and led by Sarah Elmer (“Kyrie Eleison”). 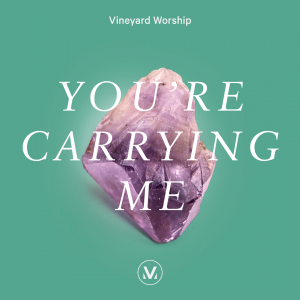 Joshua Miller has released “You’re Carrying Me” through Vineyard Worship and the song is now loaded into WorshipTeam.com “You’re Carrying Me” is a recording of a great new song. “You’re Carrying Me” was written by songwriter, Casey Corum (and friend Kris MacQueen), after experiencing an unexpected end to his role as a senior worship pastor. In the ensuing season, Casey had the distinct sense that the Lord was not only carrying him and his family through the difficult time, but that the Lord was also running into a new future. Written in response to this deep sense, “You’re Carrying Me” carries the tangible immediacy of that season in its essence. Powerful vocals provided by Joshua Miller from Desert Vineyard Church in Lancaster, California help bring this hopeful song home. The song is full featured with complete lyrics, chord charts and full length audio. Check out this great new song, hear them in the original key, or choose your own key and play it the way you like it. Dave Miller has released “Endless Praises – Live From DTI (2018)” through Vineyard Worship UK & Ireland and the song is now loaded into WorshipTeam.com “Endless Praises – Live From DTI (2018)” is a live recording of a great new song. ‘Endless Praises’ was birthed at a Vineyard Worship songwriting event and is a collaboration between Dave Miller (Trent Vineyard, Nottingham) and James Melachrino (Balham Vineyard, London) with other worship leaders in their churches. This anthem resonates around the movement from communities who ‘pour out endless praises’ in humble adoration, with worship as our highest priority. Categories SongsTags Dave Miller, Endless Praise, Vineyard worship, Vineyard Worship UK & Ireland. 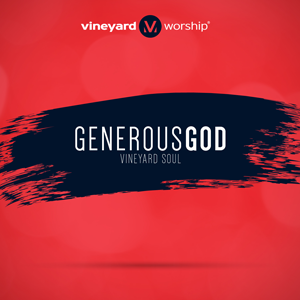 Vineyard Worship has released “Generous God” through Vineyard Worship and all songs are now loaded into WorshipTeam.com “Generous God” is a recording of some great new songs. Vineyard Soul is a multi-ethnic community of worshippers seeking to broaden the sound and expression of Vineyard Worship with the soulful sounds of the African-American worship experience. GENEROUS GOD, Vineyard Soul’s sophomore release, features diverse voices from Vineyard churches all over the country. 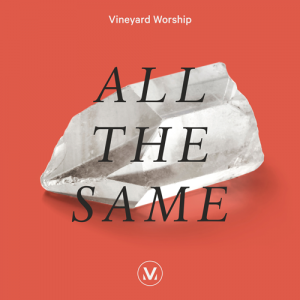 With rhythmic grooves and vocal arrangements, this album captures the heartbeat and sounds of the growing number of multiethnic churches in the Vineyard movement. promise that our generous God can and will do more than we can ask or imagine (Ephesians 3:20). Joshua Miller has released “We Are Hungry” through Vineyard Worship and the song is now loaded into WorshipTeam.com “We Are Hungry” is a recording of a great new song. 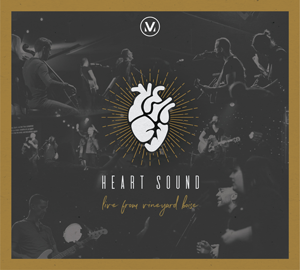 Vineyard Boise has released “Heart Sound: Live From Vineyard Boise” through Vineyard Worship and all songs are now loaded into WorshipTeam.com “Heart Sound: Live From Vineyard Boise” is a live recording of some great new songs. Vineyard Worship presents the debut release from Heart Sound, the worship expression of Vineyard Boise. Produced by Mitchell Maldonado (We Are Messengers, The Neverclaim) and mixed by Anchour Studio (Kyrie Eleison, Wear The Crown) Heart Sound: Live From Vineyard Boise captures the energy and passion of a local church gathered on a Sunday morning to pursue God’s heart in worship! Introducing 10 songs written by the Heart Sound community and featuring familiar voices Jesse Meyer (“All For You Jesus”) and Jeremiah Carlson (The Neverclaim) alongside brand-new voices Jen Call, Marcus Hathcock, and Amber Gunstream, this project highlights the creativity and passion that is surfacing from this talented worship community. Sonically, Heart Sound: Live From Vineyard Boise is modern and expansive teeming with live strings, layered synths, soaring guitars, and massive drums. Even louder are the voices of this congregation rising in unison to join and respond in praise. 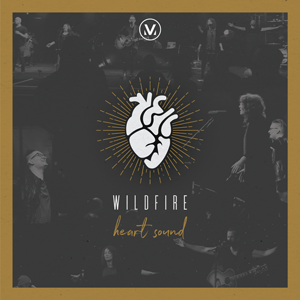 From the driving declarations of “Wildfire” and “Finished”, to the modern worship anthems “All For You Jesus” and “Song of Heaven”, and the tender words of trust in “God With Me” and “Safe”, this powerful debut captures the Heart Sound being cultivated at Vineyard Boise. Jeremiah Carlson has released “Wildfire” through Vineyard Worship and the song is now loaded into WorshipTeam.com “Wildfire” is a live recording of a great new song.